When your family doctor first suspects you have A-Fib, they will probably send you to a cardiologist, a doctor who specializes in the heart. The cardiologist will want to put you on different medications (called Drug Therapy) over the next six months to a year or more to see if any of these medications will stop or control your A-Fib. 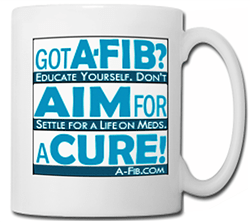 But current A-Fib medications are not very effective. They work for only about 40% of patients and frequently stop working over time. Many people can’t tolerate the bad side effects. To seek treatments beyond medications, you may need to change doctors. Since Atrial Fibrillation is an electrical problem, you should see a Cardiac Electrophysiologist (EP)—a cardiologist who specializes in the electrical activity of the heart and in the diagnosis and treatment of heart rhythm disorders. A-Fib is an electrical problem. Patients should see an Electrophysiologist, an EP, a cardiologist who specializes in the electrical activity of the heart. The EP’s primary concern is creating a ‘treatment plan’—an organized path to finding your A-Fib cure or best outcome. To find the right doctor for you, seek recommendations from your General Practitioner (GP) and from other A-Fib patients (see Resources/Bulletin Boards for a list of online discussion groups). If you know nurses or support staff who work in the cardiology field or in Electrophysiology (EP) labs, they can be great resources. When you go to A-Fib centers with several EPs, be aware that the office will tend to assign you to the newest, least experienced EP on staff. You should instead do your research first and ask for a particular EP you know is more experienced; for example, someone with the initials FHRS after his name or a Castle Connolly Top Doctor. To find a local Electrophysiologist yourself, we recommend the Heart Rhythm Society website and their feature called ‘Finding a Heart Rhythm Specialist’. ‘Check’ the box “to limit the results to Fellows of the Heart Rhythm Society (FHRS)”. (EPs with the FHRS designation have been recognized by their peers and are experienced heart rhythm professionals working in the field of electrophysiology and/or pacing). When you type in a U.S. city and state (or country), the site gives you a list of Electrophysiologists in your area. Check for their list of specialties (not all EPs perform catheter ablations, for example; some focus on pacing/pacemakers, or clinical research, etc.). Look for additional information such as which medical insurance they accept. 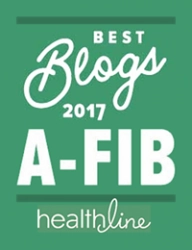 This A-Fib.com Directory of Doctors and Facilities is an evolving list of the physicians and medical centers who treat patients with atrial fibrillation. • International listings by country or geographic region. • ‘Steve’s Lists’ of doctors by specialty. To find the right doctor to cure your A-Fib, start your research with a notebook and a three-ring binder or a file folder. 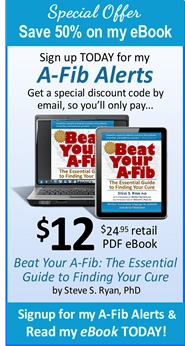 Learn Why You Need an A-Fib Notebook and 3-Ring Binder. You need to organize the information you will be collecting: printouts of information from the internet, copies of documents from your local public library or medical center library, notes from phone calls, and answers to “interview” questions during doctor consultations. Your 3-ring binder, or file folder is also where to collect copies of all your lab tests, notes from doctor visits, doctor correspondence, etc. If you need to request copies of some medical records, read our article, How to Request Copies of your Medical Records. We give you three ways to request your medical records from your doctors and healthcare providers. We strongly encourage you to get in the habit of keeping a copy of every test result you get in a designated three-ring binder. Don’t leave your doctor’s office or hospital without a copy of every test they perform. Or if the test result isn’t immediately available, have them mail it to you. Don’t rely on a single online source when researching and selecting doctors. Be cautious of all doctor informational listings you find on web sites (yes, including this one). Doctors may be listed or appear most prominently because they pay for that privilege (but not so at A-Fib.com). Read my article, Don’t be Fooled by Pay-to-Play Online Doctor Referral Sites. Don’t depend on websites of patient’ ratings of doctors or with patient surveys. They lend themselves to manipulation. Ratings often reflect how well-liked a doctor is, not competency. Consult several sites. You must do your own homework. To narrow down your list of prospective doctors you will want to scrutinize their credentials. To research each doctor, consult the internet or your local library. 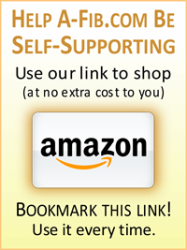 One or more of the following online resources may be helpful. Credential Acronyms: For an explanation of the acronyms following a physician’s name, see Physician Credentials. • Vitals, an independent healthcare ratings organization; provides physician’s profile, education, awards & recognition, insurance accepted, hospital affiliations, and info on malpractice and sanctions. 2. 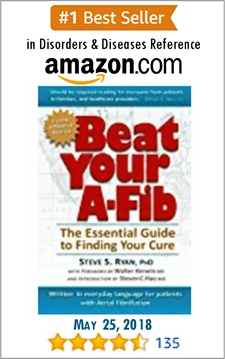 You want to consult with the doctor about your treatment goals, for example, you are seeking to cure your A-Fib, not just manage it with drugs. Note: some EPs have a “referrals only” policy, which means they won’t talk to you directly. You have to be referred by a cardiologist or a family doctor. Before your appointment, send each doctor a packet with your A-Fib-related medical records. To learn what to include in your packet of medical records, read Why You Need an A-Fib Notebook and 3-Ring Binder and Your Personal A-Fib Medical Summary. To help you scrutinize prospective doctors, we’ve written a set of 10 interview questions to help get you started. Download the FREE PDF and save to your hard drive. Then, print a worksheet for each doctor you interview. Prepare and add your own list of questions for each prospective doctor. Be sure you have your worksheets and list of other questions, a notepad and pen to take lots of notes. Audio Recording: In addition, consider using an audio recorder to help you remember things. (Most doctors don’t mind, but always ask permission beforehand.) Many cell phones can be used to make a recording. Take Along a Trusted Friend: You may want to take along a trusted friend or family member. As needed, your ‘personal advocate’ can question the doctor for you and verify your list of questions have been answered. It’s hard to be on top of your game when you feel ill and anxious. Studies show that patients immediately forget up to 80% of what’s discussed during a doctor visit, and get about half of the remainder wrong. Afterwards, your patient advocate friend can help you evaluate the doctor’s answers, discuss anything that’s unclear and comment on the doctor’s demeanor. To intrepret the doctor’s answers, see our article, “Choosing the Right Doctor: 10 Questions You’ve Got to Ask And What Their Answers Mean“. Back home, study your notes about each doctor. To ‘interpret’ the doctors’ answers, see our article, “Choosing the Right Doctor: 10 Questions You’ve Got to Ask (And What Their Answers Mean)“. We’ve included the various responses you might receive, and what each response means to you when searching for the right doctor for you and your treatment goals. You’ll also want to assess the doctor’s manner and personality. Is this someone who will work with you? Someone who listens to how A-Fib makes you feel? Does this doctor inspire confidence? Is this someone you feel comfortable with and trust with your health care? Rudeness, bad temper, boorish behavior, etc. from a doctor, no matter how highly recommended, should be a red flag for you. That kind of behavior is not just personally offensive but can be dangerous for your health. Gender bias: Does he/she respect you? Women in particular should be wary of condescending behavior. Read “It’s All In Your Mind” Her MD Said. Women in the US often don’t receive the proper diagnosis and treatment of their A-Fib. Does the poor behavior also extend to how the doctor treats his staff? Patients of doctors “who don’t show respect for their medical staff have much higher rates of adverse effects, than patients of their more congenial colleagues,” according to Gerald B. Hickson, MD of Vanderbilt University Medical Center. But do give the doctor a break. They may be having a bad day or may have heard your questions too many times before. So say something, speak up! Or contact the patient-relations representative at the medical center. They want to know if a doctor is rude (those patients are more likely to sue!). Once a doctor’s bad behavior is called to his attention, they are likely to do better. And you’ll feel better, too. 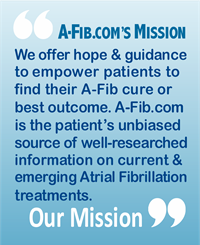 The A-Fib.com Directory of Doctors lists US & international physicians and medical centers treating Atrial Fibrillation patients. This evolving list is offered as a service and convenience to A-Fib patients. (Unlike other directories, we accept no fee to be included.) The directory is divided into three categories. For a list of EPs doing Catheter Ablation procedures, see Steve’s Lists/US EPs with FHRS-designation performing A-Fib ablations by US State/City. For surgeons performing Maze/Mini-Maze operations, see Doctors & Facilities/Steve’s Lists Doctors by Specialties and more specifically, US Surgeons performing Maze and Mini-Maze operations. Shannonhouse, R. “Is Your Doctor a Bully?” Bottom Line Health, September 2013, p. 2. Makary, Marty. “7 Things Your Hospital Won’t Tell You (That Could Hurt You)” Bottom Line Personal, Volume 34, Number 2, January 15, 2013. p1. Hussein, AA, et al. Radiofrequency Ablation of Persistent Atrial Fibrillation: Diagnosis-to-Ablation Time, Markers of Pathways of Atrial Remodeling, and Outcomes. Circulation: Arrhythmia and Electrophysiology. 2016;9:e003669. https://doi.org/10.1161/CIRCEP.115.003669. McDaniel, Susan H. The Right Way to Ask Your Doctor Questions. Bottom Line Health. Volume 31, Number 4, April 2017, p. 14.